1. Mongolia Initiative Program at University of California, Berkeley with its ultimate goal to open a Center for Mongolian Studies at University of California at Berkeley. 2. MONGOLIA Celebration: Cultural Event in the Bay Area, September 26 - October 06, 2015. This event also marked the opening of the MONGOLIA INITIATIVE at University of California, Berkeley. 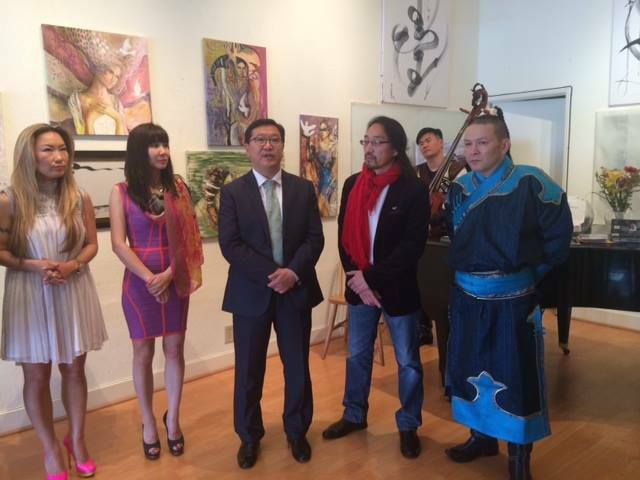 The "Mongolia Celebration" event was part of Asia Week in San Francisco. See www.asiaweeksf.com. The conference will illuminate new areas of research in Mongolian Studies as well as will bring different communities together for the cause of Mongolian Studies at UC Berkeley. 09/26, 6-9pm. Fundraising Dinner at International House, UC Berkeley with Mongolian traditional cuisine, music and dance performance by Bay Area's Ger Youth Center. Booths featuring books about Mongolia; souvenirs by Bay Area Mongolian Community Association, Ger Youth Center and Zanabazar Dharma Center, and Mongolian women artists' show "Mongolian Women Artists: Three Gems." 10/04, 12-6pm. 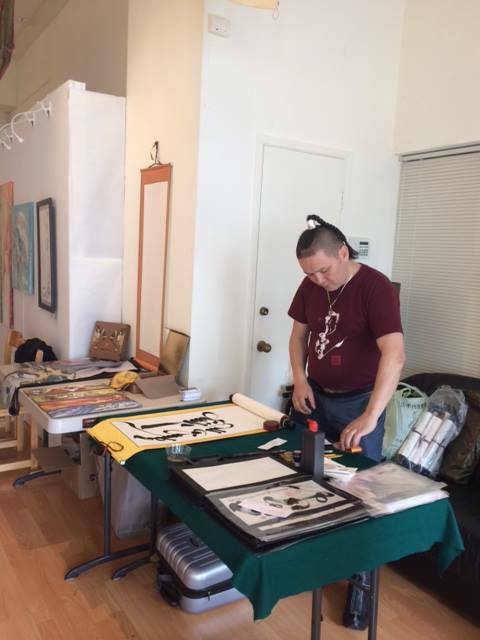 Bay Area Mongolian artists' exhibition at Silk Road House, Berkeley. The exhibitions is the first of its kind and will show diversity of styles, genres, media, and themes ranging from S. Tamir's portraiiture, paintings in traditional Mongolian painitng style "Mongol Zurag" by B. Enkhbat, and paper-cut media by S. Turburam. 10/06, 1-5pm. 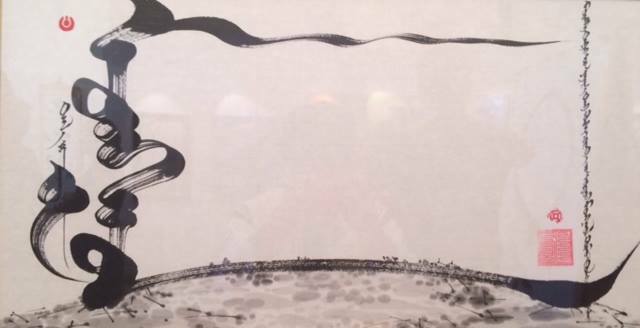 Mongolian Women Artists' exhibition featuring Mugi (whose work is also currently at Venice Biennale in Italy), Tugs-Oyun, and Nomin, the artist of traditional paitning style "Mongol Zurag." 2. 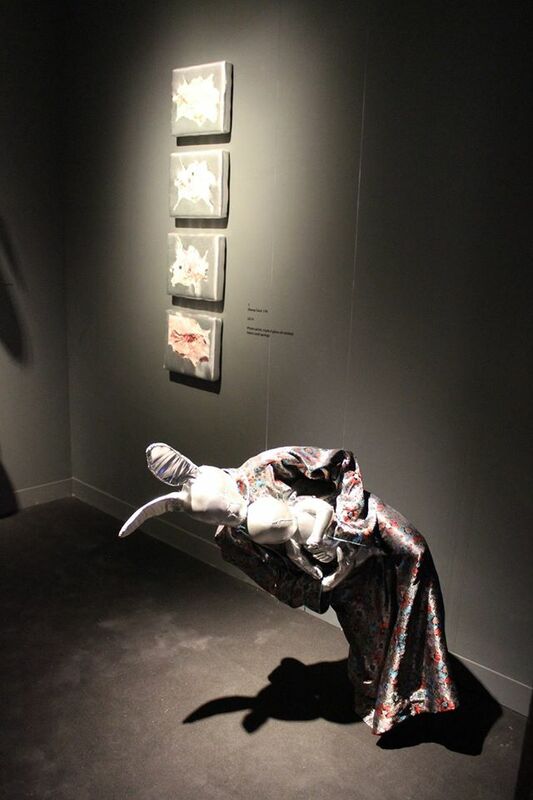 The First Mongolian solo exhibition at Venice Biennale 2015. The Mongolian woman artist, J. Munkhtsetseg (a.k.a. 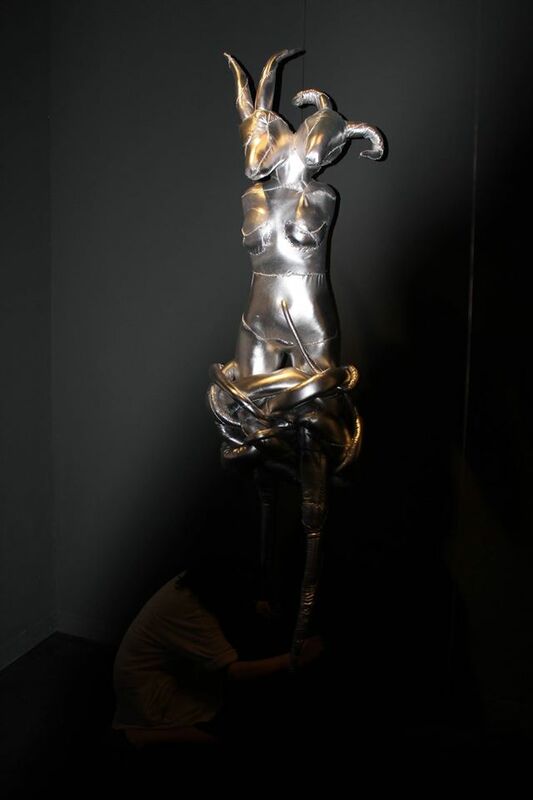 Mugi), is currently showing at Venice Biennale, Italy, the most prestigious contemporary art event in the world. 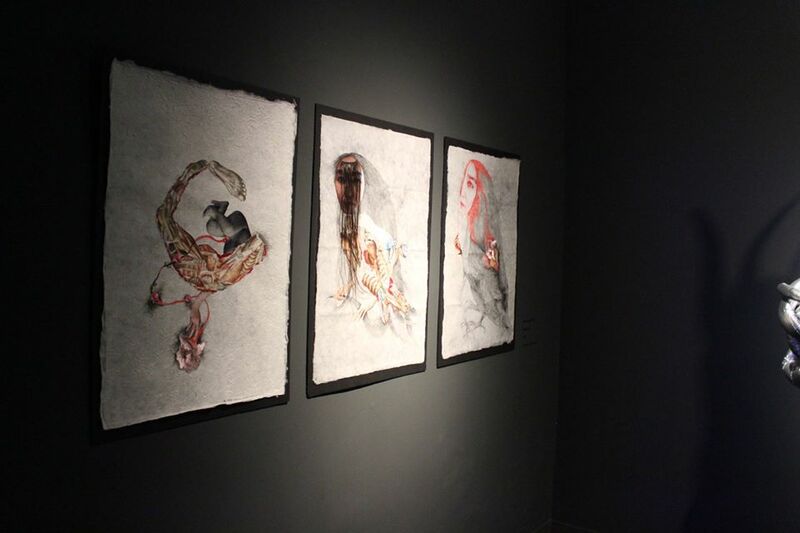 Her exhibition marks the first Mongolian solo exhibition of a Mongolian artist, and is taking place at Palazzo Bembo. The curatorial text was published in the international catalog, "Personal Structures: Crossing Borders." Venice Biennale is held every two years, showcasing top artists from over 80 countries. Over 400,000 attendees came out to the exhibition in 2013; thus Mongolia Foundation is honored in supporting this talented artist at such a grand event. The exhibition is free to the public for 7 months: May 9-November 22, 2015. 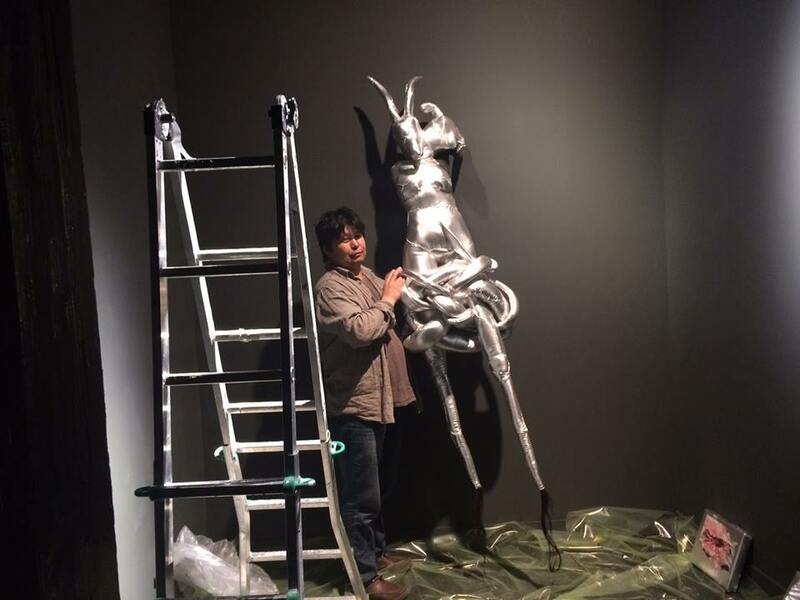 Two exhibition catalogs will be produced during the Biennale featuring Mugi's works. Sponsor and donor names and information will also be honored in these publications as well as in the exhibition itself. 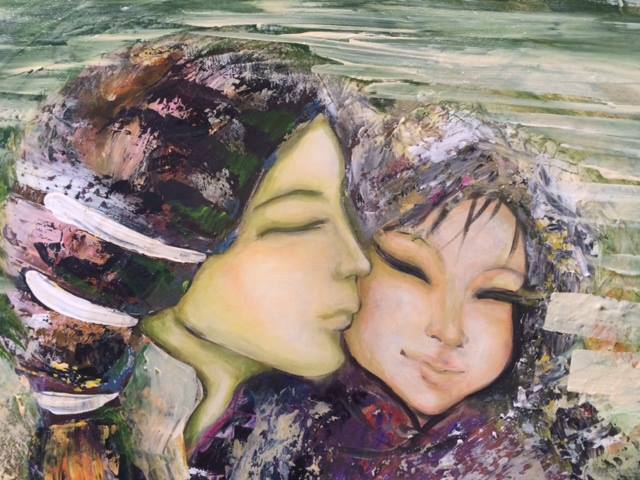 Born and raised in Mongolia, Munkhtsetseg lives and works as a full-time artist in Ulaanbaatar, Mongolia. While she has shown her works internationally, her show in Venice Biennale will be her first showing at such a renowned world event. Her works in Venice Biennale will consist of soft sculptures and multi-media works on paper. 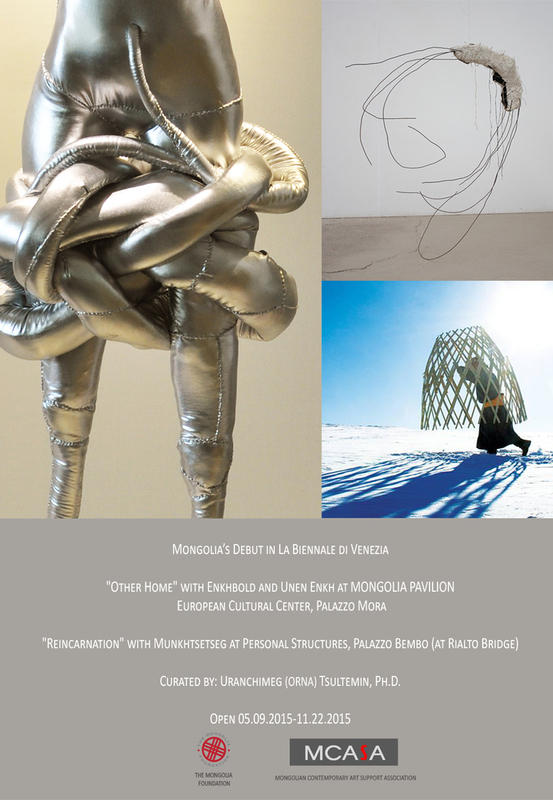 Check out her works and her feature in Venice Biennale's catalog below!! 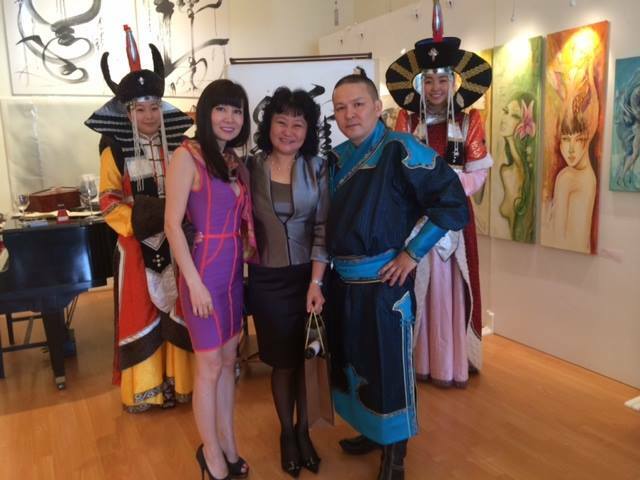 Mongolian artists, Amaraa and Zazaa, recently held their art exhibition at the Silk Road House in Berkeley. We are honored that our modest support could contribute to the success of the show. Congratulations! We wish our artists the best. UC Berkeley is planning to resume the teaching of Mongolian language in fall 2015 after a 19-year hiatus. UC Berkeley was the first school in the U.S. to teach Mongolian language and acquire Mongolian books through the teachings of Ferdinand Lessing in 1935. The legacy of Lessing was continued in the teaching of Mongolian language and history by several faculty in humanities, such as James Bosson in the EALC and John Mason Smith in the History Department. UC Berkeley is also launching the first year of the Mongolia Initiative Project that aims to bring Mongolian studies to 40,000 UC Berkeley students and faculty members. This is the first step in UC Berkeley’s ultimate goal to open Center of Mongolian Studies at the Institute of East Asian Studies (IEAS). The MF is supporting IEAS in their ultimate goals to open the Center for Mongolian Studies as a new addition to the well-established activities of the IEAS.